$30 day of event tickets. Ticket prices will increase as more tickets are sold! 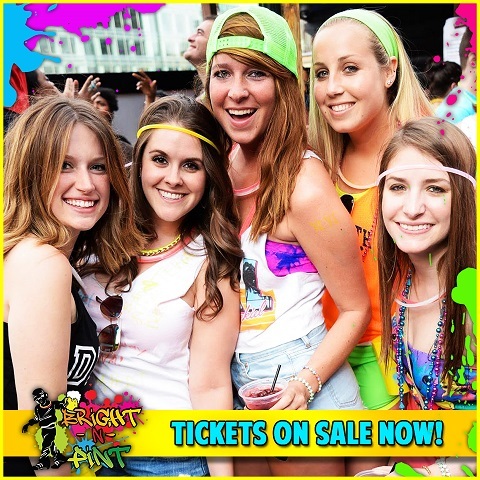 Bright-N-Pint is the country’s largest and most electrified, brightly colored and neon themed bar crawl. Rock your bright and glow in the dark swag and get ready for a full day of shenanigans and bar-hopping in Dupont Circle with thousands of your closest friends! What You Get: A Bright and Pint signature mug, glow necklace, amazing drink specials, access to some of DC’s best bars, raffle entry for great prizes and free pictures of the event. Participating Bars: The Front Page, Sign of the Whale, District Anchor, Ozio, Cafe Citron, The Mad Hatter, 1831, James Hoban's, The Abigail, and more bars coming! Dress Code: If it’s not neon, it shouldn’t be on! We recommend neon, bright and glow in the dark themed outfits! There will be costume prizes for the most festively dressed participants. You must be 21 or over to participate. Please drink responsibly. All Tickets purchased are Non-Refundable. 2) I voluntarily, knowingly and freely assume all risks associated with attending Bright-N-Pint and entering the premises, including, but not limited to, my own actions or inactions, injuries, illness and contact with others.